Provide comfort for the family of Joan Riberdy with a meaningful gesture of sympathy. Joan M. (DaMotta) Riberdy, 79, of Avon, wife of the late Robert J. Riberdy, died Wednesday, March 13, 2019 at John Dempsey Hospital in Farmington. She was born February 4, 1940 in Hartford, daughter of the late Joseph and Juanita (Belisle) DaMotta. She lived in Avon for the past 50 years where she and her husband Bob raised four children. 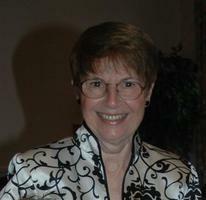 She was a member of the Church of Saint Ann in Avon. Mrs. Riberdy worked for Lincoln National Life Insurance (Security CT) Co. from 1980 to her retirement in 1998 where she was an Insurance Systems Specialist. An avid reader until late in her life, she enjoyed keeping up with current events and traveled quite a bit after retirement. While she valued her quiet time, especially her daily walks, she was very social and thoroughly enjoyed weekly dominos with friends and was especially proud of her grandchildren. She took great delight in watching them grow and in their various accomplishments. She will be dearly missed by all who knew her and will be remembered by family and friends as quiet with a subversively quick-wit, kind, intelligent, and fiercely independent. She is survived by her four children, Michele Riberdy of Norwalk, Robert Riberdy and his wife Gloria of Canton, Andrew Riberdy and his wife Katherine of Colebrook and Darci Vallez and her husband Daryl of Avon; her grandchildren, Michael and Stephen Riberdy, Jacqueline and Gabrielle Riberdy and Fiona and Bryn Vallez; her sister, Carole Doyle of Jacksonville, FL; her brother, Joseph DaMotta of Greenville, SC and several nieces and nephews. She was predeceased by a sister, Nita Shew. Her family will receive friends at the Vincent Funeral Home, 120 Albany Turnpike in Canton on Saturday, March 23rd from 10:00 AM to 12:00 Noon, closing with a prayer service at 12:00 Noon. In lieu of flowers, memorial donations may be made to St. Jude Children’s Research Hospital, 501 St Jude Place Memphis, TN 38105 or at www.stjude.org. Please visit Joan’s “Book of Memories” at www.vincentfuneralhome.com for online condolences. Corbett and Spandow sent flowers to the family of Joan Mary Riberdy (DaMotta). Very sorry to hear the news of Joan's passing. I worked with Joan at Security CT. Very sweet lady, we had a lot of laughs together to get us through the days working there. 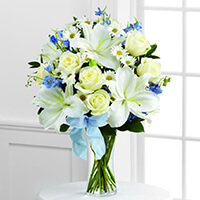 Corbett and Spandow purchased the The FTD Sweet Peace Bouquet for the family of Joan Riberdy.